One more Bank of toys in process to open shortly in the city of busy life, Mumbai! 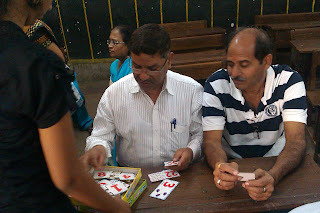 With all the efforts from the Inner wheel club of Borivali and Poisar Municipal School, Toybank has made an entry in one more Municipal school of the city. On 27th December 2012, Toybankers conducted a teachers training program at Poisar Municipal School. 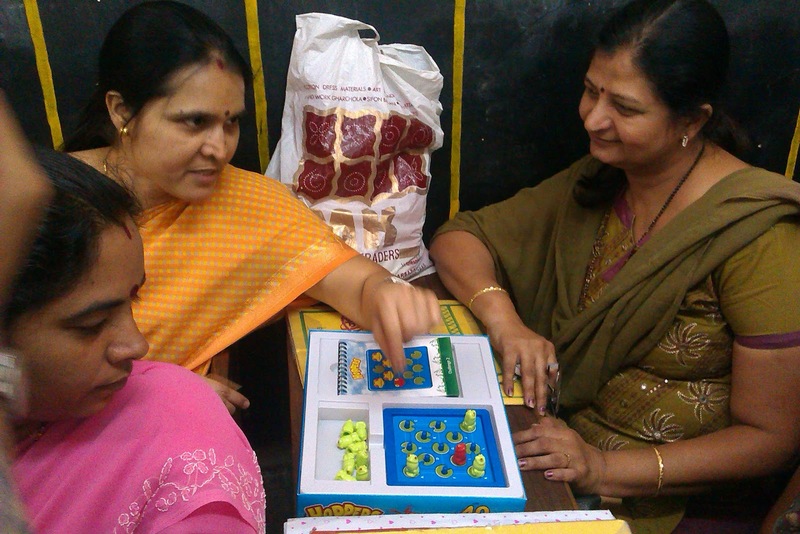 The training program was conducted for the Pre-primary and Primary school teachers. 20 teachers participated enthusiastically in the training. The teachers in the school were trained by the Toybankers on the functioning of the toy library and on the games bought to the library. The teachers will start conducting the play sessions from January for the children. The Poisar Municipal School library is set for approximately 500 children from pre-primary and primary. There are 60 different types of toys given to the Library, and Toybank will replenish the toys after every 3 months of the operations of the Library. Thank you to Jyotika Bhatia, Madhura and Akshit for helping us during the teacher training process. A big Thank You to the School Principal Ms. Sangeeta Wade for coordinating with us and helping us all through out. With her presence at the School the Toy Library is definitely going to be a hit!